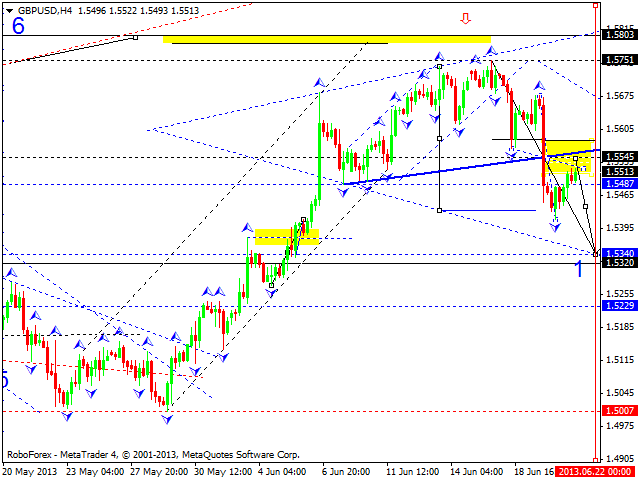 Euro reached only a local target of this descending wave. We think, today the price may return to the level of 1.3275 and then complete the first ascending wave by falling down and reaching the level of 1.3150. Later, in our opinion, the pair may start a more serious correction towards the level of 1.3280 and then continue moving downwards. Pound reached the first target of this descending wave. We think, today the price may form a correction towards the level of 1.5545 and then complete the first wave by falling down and reaching the level of 1.5340. Later, in our opinion, the pair may form a correction towards the level of 1.5545 and then start another descending structure to reach the target at 1.5230. Franc couldn’t continue moving upwards; right now the market is forming a descending correction. We think, today the price may continue growing up towards the level of 0.9400. Later, in our opinion, the pair may form another descending correction and then complete this wave by forming a new ascending structure towards the target at 0.9455. 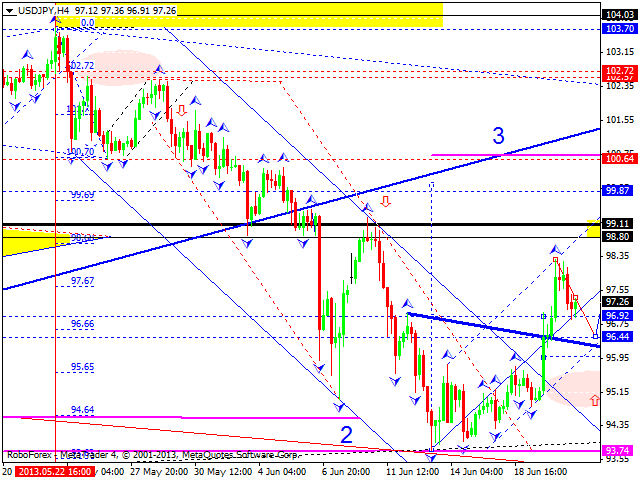 The USD/JPY currency pair is moving inside an ascending wave. We think, today the price may reach the level of 98.80, form a slight correction, and then start a new ascending movement towards the target at 99.20. Later, in our opinion, the pair may form a pivot point to continue the descending trend. 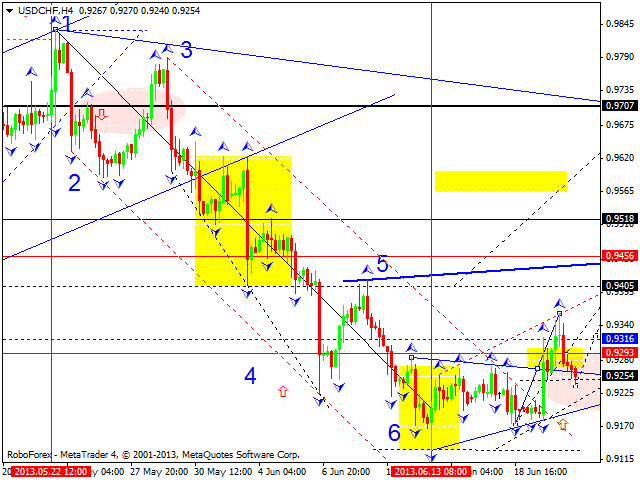 Australian Dollar reached its target. 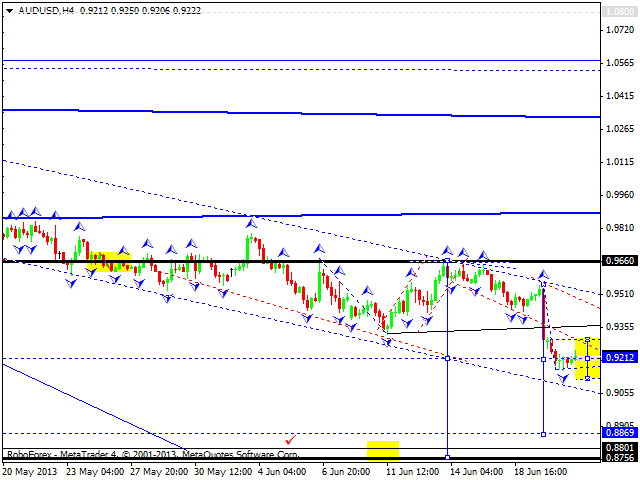 We think, today the price may consolidate for a while near the level of 0.9220. This level is the center of another descending structure with the target at 0.88. In our opinion, the market may form a slight correction, but the main scenario is still the same: the descending trend may continue. 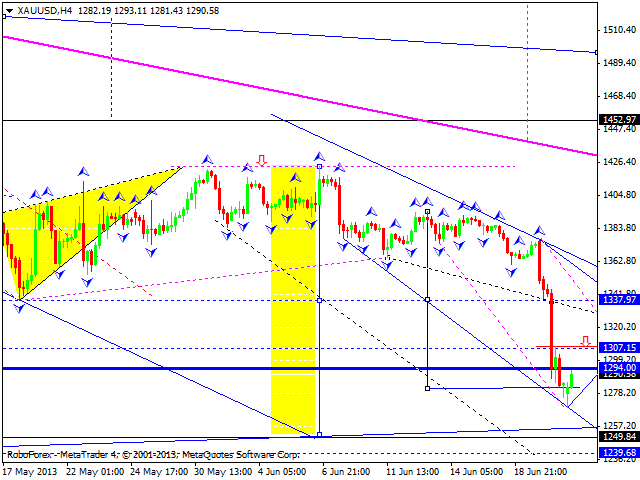 Gold reached its targets and formed the first ascending impulse. 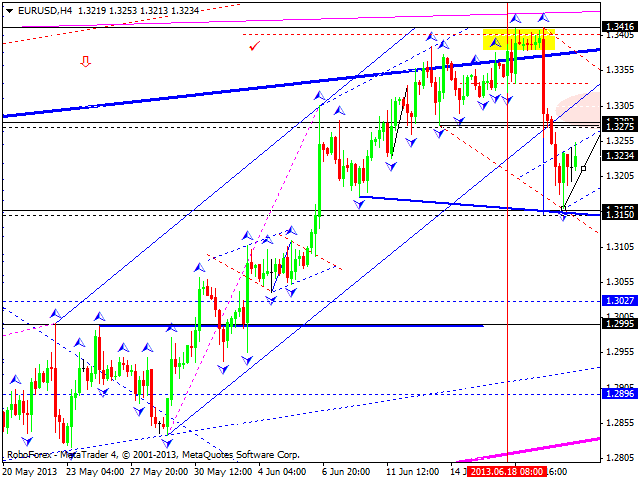 We think, today the price may form an ascending correction and return to the level of 1307. Later, in our opinion, the instrument may form another descending structure towards the level of 1250.